The Election’s Over: So Now What? it’s time to get off the fence… take a minute to put your voice behind these renewable energy political motions! I haven’t heard the full total yet, but at last count this summer big oil, coal, and dirty energy had spent in excess of $180 million and by election day had ramped that up to over $270 million spent on this year’s Presidential and Congressional races.. and LOST on many actual ballots. In fact, they may have helped galvanize voters against their repugnant fossil-fuels-at-all-costs agenda. A must-read article here from Rebecca Leber at Think Progress discusses WHY, instead of just letting “you decide” with only innuendo, fear and half-truths to go on: Analysis: Why Voters Didn’t Buy TV Attack Ads From Fossil Fuel Interests. Truth will out, as the Brits say. their bought and paid for witch hunts that made Solyndra a household name and all renewable energy implied as the same, causing a cascade of other failures. the idea that giving RE government support, as in tax break “subsidies”, even if only a microscopic percentage of what dirty energy gets, is a “boondoggle”!! I’ve gotta admit I love that word, it tells me instantaneously I’m dealing with one of the powerwashed! � First, one of my renewables idols, Paul Gipe, says we should be bringing president Obama’s attention to our abysmal rankings and how far we’ve fallen behind most of the free world, and many of the not so free, as well. Let congress know to pass the Production Tax Credit(PTC) beyond this year. � And when you finish with that, you can then directly contact your legislators and let them know that they need to get on board via email on their system. 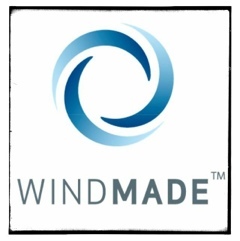 You can do that here: Save USA Wind Jobs: Contact Congress Today! Both took less than 30 seconds. also took less than 30 seconds. Or, you could just write your own state and national legislators. Feel free to share those with us. So what the heck are you waiting for? get moving! Well, basically, it’s really windy where I live. That’s great in July and August, when my town is 10-15 degrees cooler than the “mainland”. The other 9-10 months of the year, it makes it quite a bit more uncomfortably cooler here than elsewhere. Best I can tell, that means I get 3 good months, 9 less-than-desirable months. This imbalance has weighed on my thoughts, especially in the winter months, if and when I could hear myself think over the loud bluster; the virtually continuous 20-30 mile-per-hour squall that blows from Columbus Day straight through until Memorial Day, when it then moderates to what is known as a just a “fresh breeze” at about 15-20 MPH, then the cycle repeats; the cycle and its phases a continuous reminder in those thoughts. As I’ve grown older and less resistant to the cool weather, I kept (keep?) thinking: if I could just capture all that wind to do my bidding, I would feel like I’ve fought back against the sheer slap to the face it can be on particularly “brisk” days; maybe making it worthwhile to put up with; its untamed nature tamed by the mastery of my very impressive hand. All joking aside, I had spent many waking (and sleeping) hours dreaming up wind power systems. Thanks to my wonderful wife and loving son, I received a gift that would change everything: Wind Power: Renewable Energy for Home, Farm or Business by Paul Gipe. 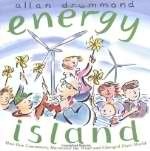 Understand: this book is the equivalent of the bible, when it comes to wind energy. I was engrossed in it and devoured it quickly. When finished, I eagerly re-read it. I probably refer to it several times a week, or more. Now crushed by my new understanding that my “unbelievable” designs really were, and had been proven not viable, I went through all the phases of grief. Pulling myself together, I moved on to the concept of having my own modern version of the familiar wind turbine, to both offset my use and maybe generate some extra for cash, the book unfortunately also dashed these dreams on numerous fronts: siting, zoning, grid interconnection and how impossible it might be to actually be paid for my power generation. Really, a fantastic, truly enlightening book; I hold no grudge. I know to embrace the messenger. Great is great-my dreams aside. New dreams have arisen, this time more reality-based, thanks to Mr Gipe’s in-depth explanations and examples. Wind Energy Basics (2009 edition) By Paul Gipe, which is an extremely condensed version PLUS has invaluable additional information, including completely necessary, exclusive chapters about Community Wind and more. In his summary chapter, he shows how much of our electricity could easily be coming from wind (we could have had 40% of our entire country’s electricity from free wind energy right nowfor the low, low price of the Iraq War thru only 2008! ); how advancing every household a wind turbine credit would actually double back it’s investment, and also how such a large percentage of wind power usage could be attained; logistically, financially, and what it would mean economically for our country. We have what we need right now to make it happen, except real leadership. So, what will make it happen? It would seem everyday people, like you and I, DECIDING to do something about it, and then following through and acting on that decision is what it is going to take. It’s pretty obvious the people that seem to be entrusted by the public with making this happen, ARE NOT. The system currently in place IS NOT working. Sadly, even the American Wind Energy Association (AWEA) has set their sights VERY LOW at wind energy only being 20% of this country’s usage by 2030. 20% in 20+years, from the group that is supposed to be leading the charge? I much prefer Mr. Gipe’s vision of 40%, including his prescription for how it can happen; that it is not just wishful thinking. Don’t take my word, read these books. Spread the word. Ask your local bookstore to carry them. Give them as gifts. Request them at your library. Since then, I have still been imagining what can be, educating myself, trying to move these thoughts forward into something tangible, real, meaningful; and will continue along this path wherever it leads.